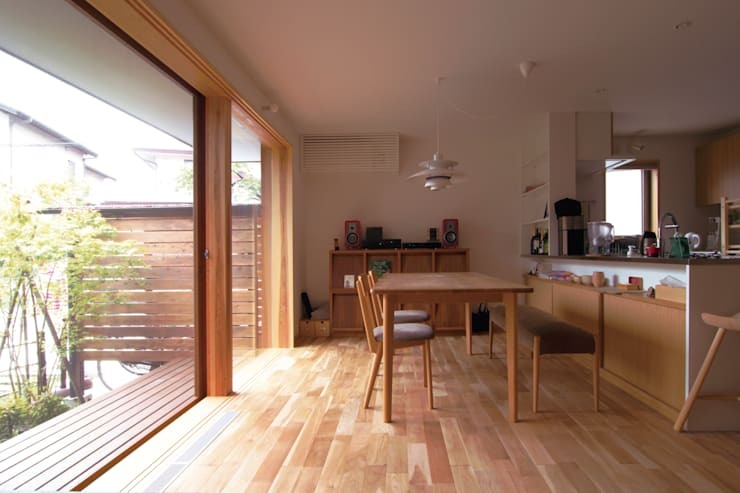 Designed by Tokyo-based architects, today's homify 360 is an example of how simple can sometimes be the most successful when it comes to architecture and design. With the amount of wood used throughout this structure, both inside and out, we are going to feel like we are taking a trip to the forest today! Henry Beston once said, The three great elemental sounds in nature are the sound of rain, the sound of wind in a primeval wood, and the sound of outer ocean on a beach. We won't be able to hear any elemental sounds in nature during this tour, but with the beautiful visuals of this wooden home, we will be able imagine them… let's go! 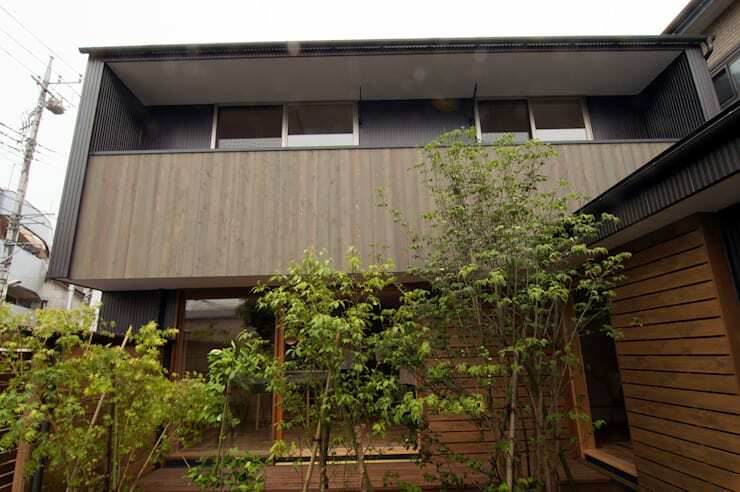 From the outside of the home, we can see how wood already plays such an important role in this design. 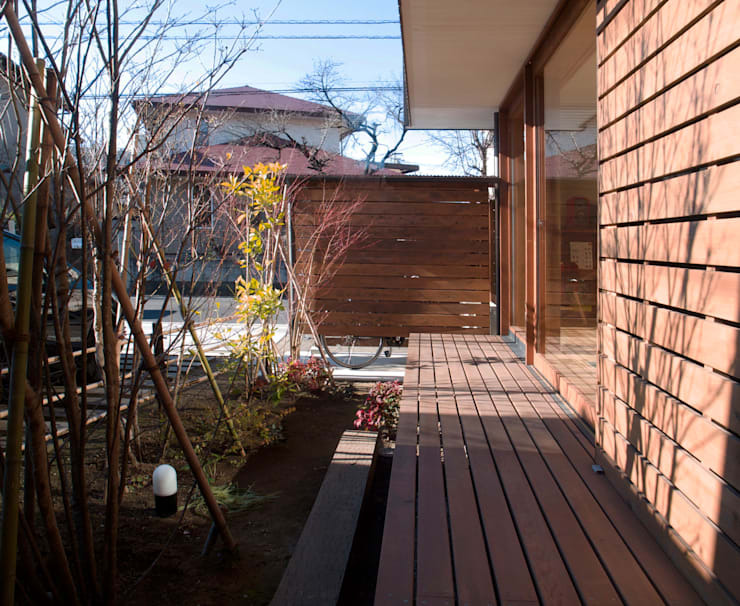 The patio, the structure and even the wall that protects the garden from wind and offers privacy to the family are finished in chocolate brown wooden slats. These are enhanced by the large glass windows and doors that are featured throughout the home. The garden is just as important as the structure and design of the home itself, adding to it's beautiful and inviting look and feel. Tip: spend time on your garden or hire a professional to assist. A neat exterior equals a welcoming home! If we head into the home, we can see just how inviting and warm it truly is. The large glass windows and doors allow sunshine to filter into this dining room and kitchen, which is neat, modern and minimalist. These clean lines and utilisation of only functional furniture results in a seemingly spacious interior, despite the fact that the home isn't actually that large. Don't you love how the kitchen opens up onto the dining room, while still remaining partially separated? The designers have gone for simple, wooden material, which works in harmony with the light wooden floors and wooden finishes. Simple results in a sophisticated look and feel in this case. The trick when it comes to a small home is to make the most of every single corner or any wasted space, such as under the stairs. In this home, we can see that the designers have utilised a section of wasted space by inserting a small desk, shelf and chair into it. The result is a perfect little home office space! They've kept it very neutral—light wood and white—so that it blends into the surrounding decor. Thus it remains a very subtle yet functional feature. Also have a look at these: Cool ideas for home work spaces. From this angle, we can see how the designers have added some local influence to the home. 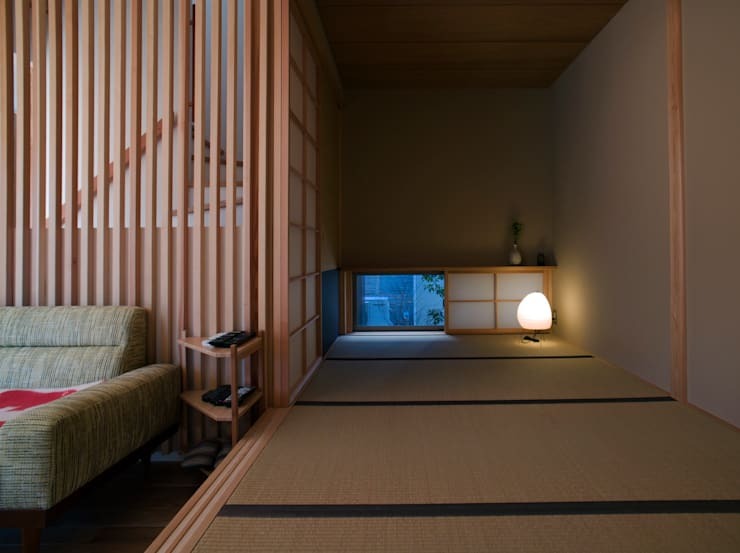 This room is very reminiscent of an oriental style of home. The room is slightly raised and features soft, light brown flooring. A door slides closed to give this space privacy if need be. This space is utilised as a media room for entertainment, offering members of the family an opportunity to relax in a private and comfortable space and enjoy their favourite movie or book. Have a look through the homify media room products for ideas on how you would decorate this space. Tip: Lighting is key! Opt for soft lamps or lanterns in your media room to create ambiance! We end off our tour back outside, where we get a glimpse of what the home looks like in all of its glory. Do you notice how the designers have used different tones of wood to create an overall look and feel that is grand and majestic, yet subtle and warm. On the second storey, we can also see that there is a balcony, offering the family a space to enjoy the sunshine and fresh air without compromising their privacy. This image also gives an overall look into how nature plays such an integral role when it comes to home design. This brings us back to our first point—look after the garden in the front as well as the back of your home! 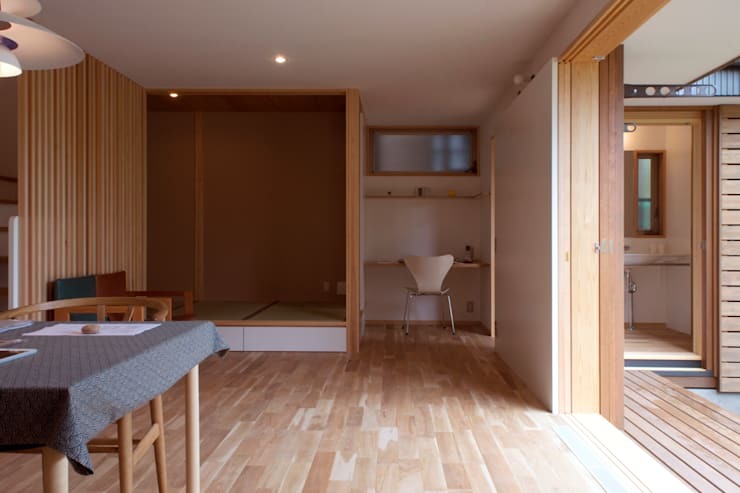 What do you think of this simple wooden house?